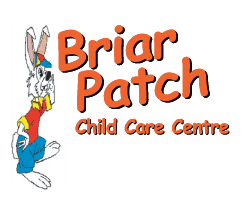 The staff of The Briar Patch Child Care Centre realize that children will develop at their own pace, according to their own readiness. This inner development follows a sequential pattern of growth or “developmental stages”. The utmost respect is given to this inner wisdom of the child and his/her ability to become the unique individual he/she is capable of becoming. Our caregivers are committed to providing a quality program that responds to the common needs of young children but also to the special needs of each individual child and his/her family. Every effort is made to provide a safe, secure, nurturing, supportive and respectful environment in which children can develop to their fullest potential and at their own pace. The approach to programming is a traditional one, based on soundly established and accepted principles of early childhood education. Children meet their needs through their relationships with others and through exploration of their environment (play). To facilitate this developmental process, children must have the freedom to move, have uninterrupted time on their own and be involved in things that concern them. All children must have the freedom to work on self-chosen tasks in a carefully planned, properly maintained, enriched environment with minimum adult interference. In this way, the child is able to develop independently through the joy of self-discovery and self-initiative, thus promoting positive self-esteem. It is our belief that a quality program requires caregivers who are sensitive to the needs of young children and work together to provide a supportive, respectful and nurturing environment. Our staff are fully qualified early childhood educators and licensed with the Provincial Community Care Facilities Licensing Board, as well as having first aid certification. Many of our staff also have specialized training in infant/toddler and special needs care. Staff are encouraged to continue their professional development through workshops and post-academic training. Many of the staff have training in Safe Spaces, CALM, reading readiness (phonics) programs; and specialized training in development, play and behavior management for the ages they care for. Volunteers and work experience students will play a vital role in assisting daycare staff with maintaining a high quality program. They will always be supervised by a member of our staff. Parents will be informed of new volunteers and students through monthly newsletters. Work experience students will be from Chilliwack and Sardis Senior Secondary, as well as the University of the Fraser Valley and other area colleges.